It doesn’t matter if the weather is hot or cold, dry, chapped lips can still be a problem! A good way to get around this is with a lip scrub! Unlike lip balm, a lip scrub exfoliates and moisturizes, a strong combo that promotes healthy, beautiful looking lips! 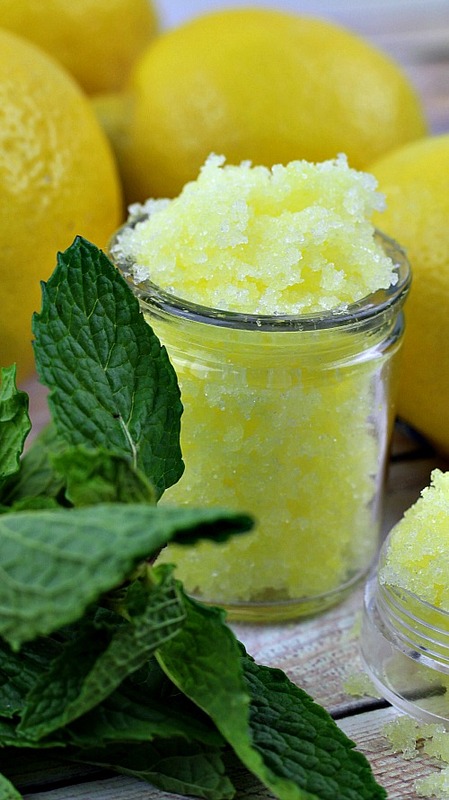 Keep your lips looking and feeling great with this DIY Mint Lemonade Lip Scrub! 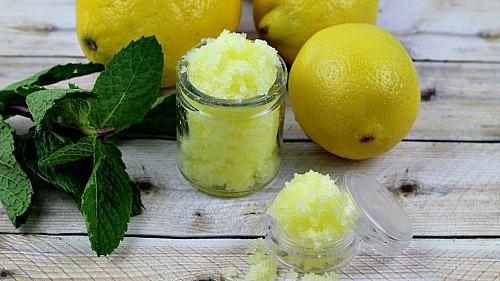 This homemade mint lemonade lip scrub is full of beneficial ingredients! Sugar is a common base used in scrubs because it’s a natural skin exfoliant. Almond oil moisturizes and plumps up the skin. Lemon essential oil has a sharp, citrus scent and is widely used for its cleansing and invigorating properties. And peppermint essential oil is full of antibacterial properties, along with giving you a quick pick-me-up with its sharp, refreshing scent! 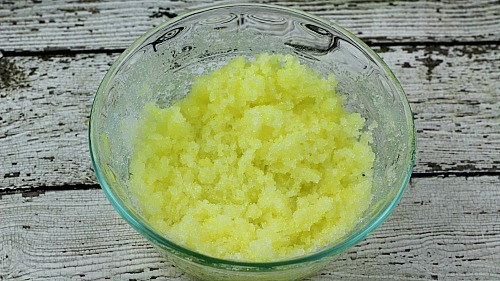 This recipe will make enough mint lemonade lip scrub to fill 2 small lip balm containers. 1. 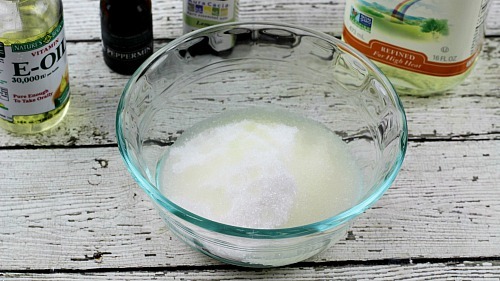 In a small bowl, mix the sugar and almond oil together. 2. Add the lemon and peppermint essential oils. Stir until well blended. 3. Optional: add the Vitamin E drops and color gel and mix well. The lemon essential oil has a yellow tint to it, so your lip scrub will be a light yellow, naturally. But if you want the color to be a bit darker, add the color gel. 4. 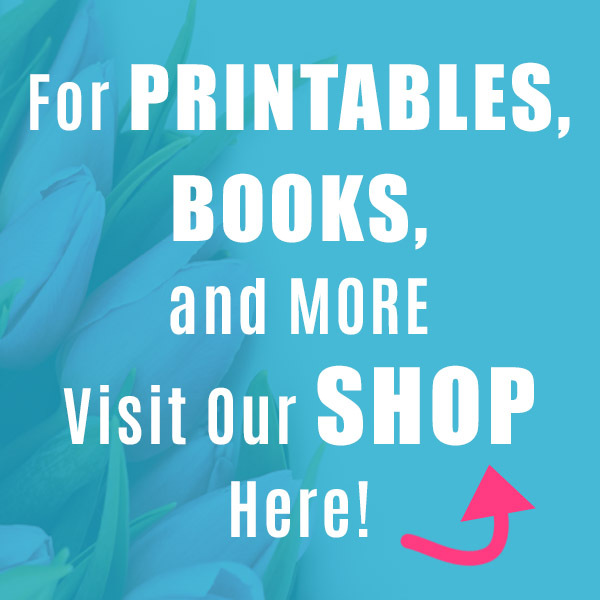 Transfer to an airtight container(s) and store up to 3 months. 1. Wet lips with warm water and apply the mint lemonade lip scrub. 2. Gently rub lips in a circular motion to allow the sugar to exfoliate and the almond oil to moisturize. 3. Rinse with warm water and pat dry with a towel. 4. Apply your favorite lip balm moisturizer. I like to use my homemade lip balm! Have you ever used a lip scrub? 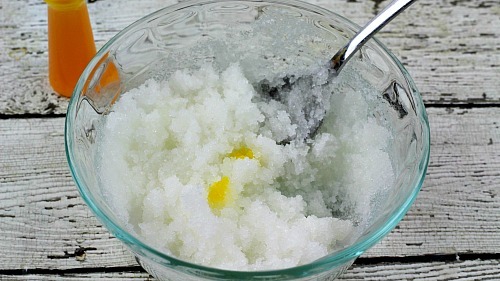 Want more DIY sugar scrubs? 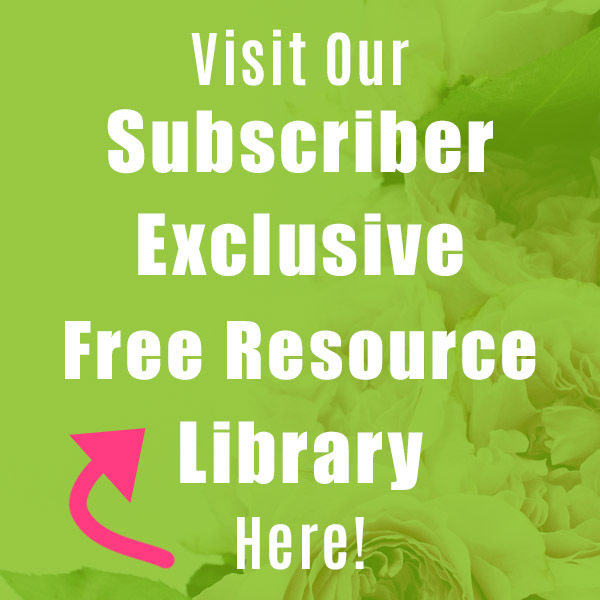 Check out our DIY Sugar Scrubs eBook! 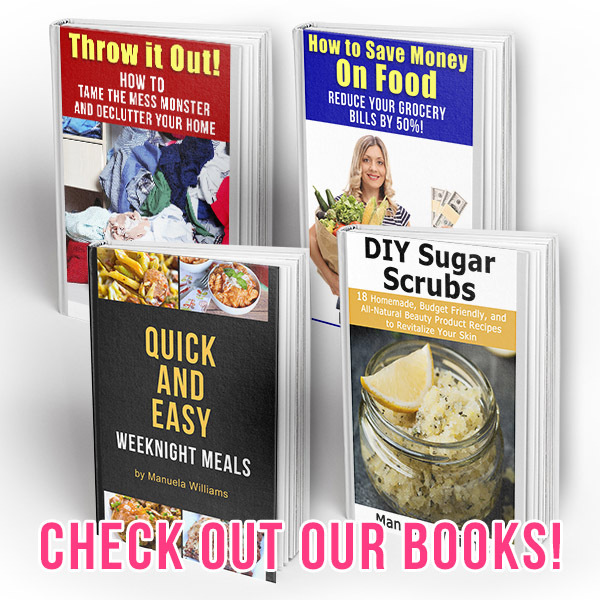 It contains 18 budget-friendly and all-natural sugar scrub recipes that will revitalize your skin (and that make great gifts)! Love this all natural lip scrub idea.Thank you for sharing with us at #HomeMattersParty. 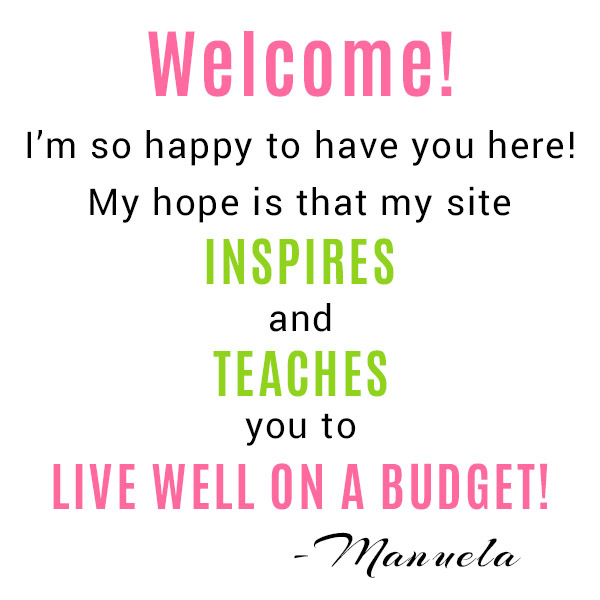 We would love to see you again next week.